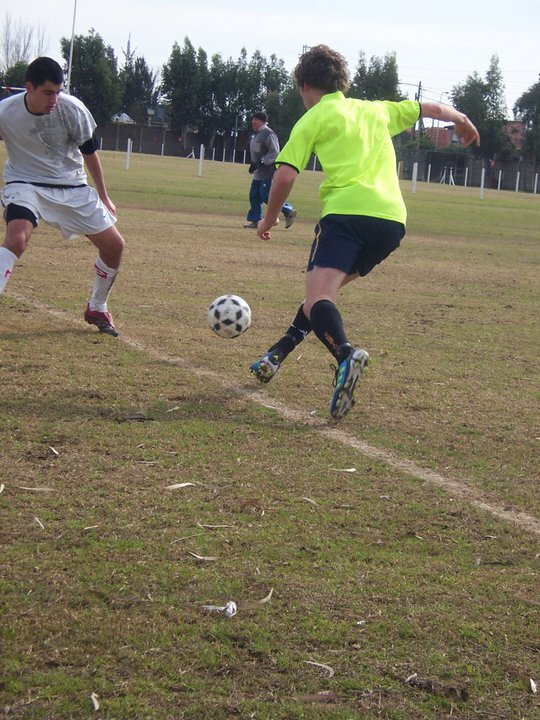 Life In Argentina: Seriously...futbol in Argentina! You may have noticed that I haven't mentioned the music much...and there is a reason for this. Don't get me wrong, the music in Arg is great. So many opportunities to see international artists on the cheap in big stadiums, great jazz and a vibing rock scene. We have been to a few gigs here or there, but we just haven't been that pumped to dig right into it...yet. This has been due to the fact that we are busy doing so many music things at the school, but also because there is a major obstacle in the way for me! And, it starts with F.............Futbol. It's not only the culturally ingrained madness that comes with the sport that surrounds us (such as 'las inchas' (crazy fans) that pack the streets and let off firecrackers right next to our apartment block every weekend), but also the fact that for the first time in my life I am living only a few hours West of Europe. This means that yesterday, for example, (if I wanted too *clears throat*) I could have woken up and watched live European football from 8am to 6pm, uninterrupted. Ok, that's exactly what I did. I have never had that opportunity before and it was fun! Mika and I needed a day of nothing-ness yesterday, so we blobbed in front of the TV, planned some travel, enjoyed being nerds and had the football on in the background. 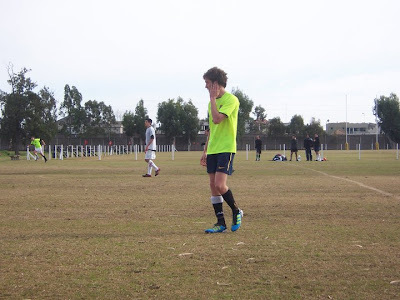 Also, I am loving playing football again! Since giving it away a few years ago to focus on music stuff, I have been playing every weekend and often during the week also and am loving it. Our weekend team is playing great and we have won our last 6 games convincingly. I've chucked in a couple of photos 'de la cancha para Uds. ver'. You will also notice some evidence of the TV watching antics in Mikaela's blog below. P.S. I am loving learning Spanish at the moment...practicing lots at the expense uni study. I've got to finish two essays by mid-Nov for my masters. Nearly one year done which is cool!